Bold’s goal is to ensure the fair treatment of farmers, ranchers and Tribal Nations who own the land needed for our clean energy transition. We want to see better contract terms for landowners and Tribal Nations, around issues like abandonment and profit-sharing; address concerns with large-scale wind projects and transmission lines; and counter right-wing scare tactics, by building on-the-ground relationships and unlikely alliances. 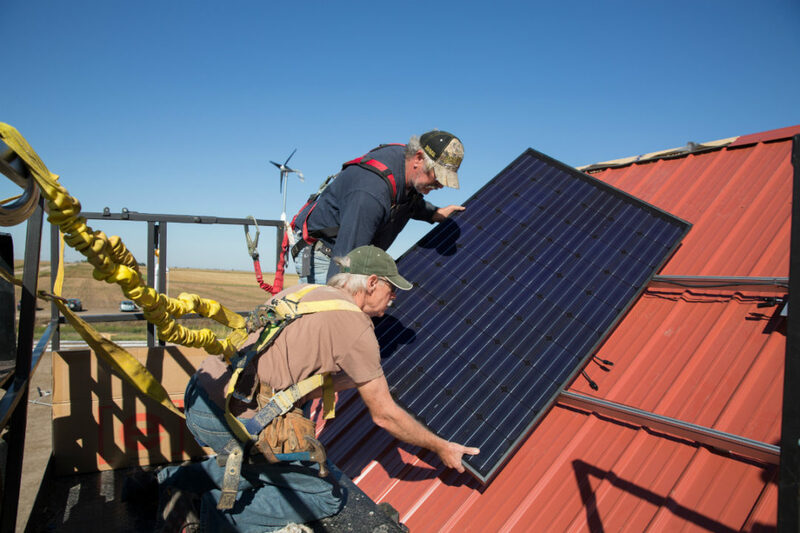 Bold Nebraska supports solar and wind companies that bring tax revenue, jobs, and annual landowner easement payments to our communities. 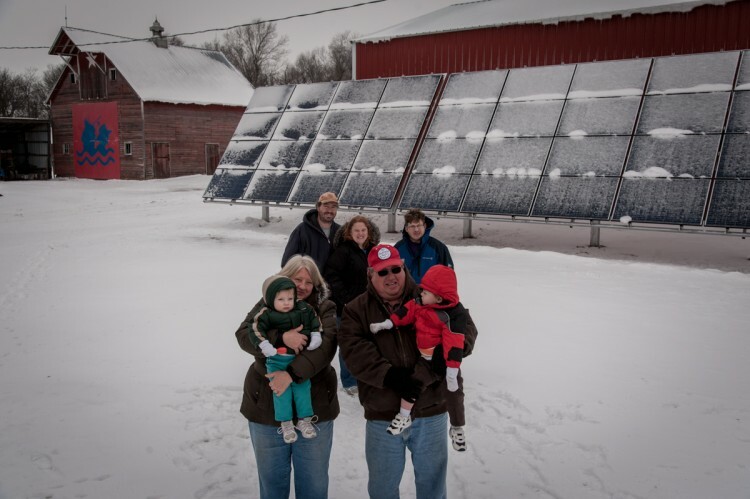 Rural communities are facing new demands for clean energy to be built on their land. The conversation often omits parallel concerns of pollution with dirty energy projects like tarsands pipelines, but does bring up valid concerns about land use. 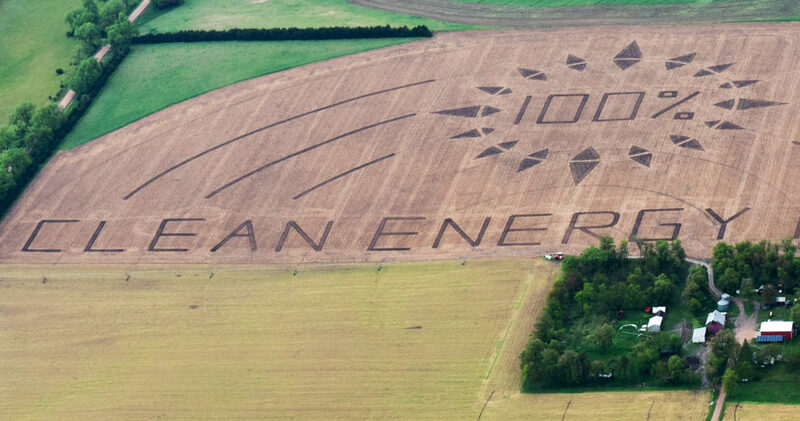 Some clean energy projects are facing opposition from local communities because developers are not making a concerted effort to understand the culture around rural and Agricultural communities. Property owners and owners of properties neighboring clean energy projects need to be consulted and fairly compensated, whether this is an annual payment, or credit toward their monthly electric bill. Wind corporations should not be allowed to use the same techniques as the oil and gas industry — abusing property rights, and making bullying claims like, “All the neighbors are signing, so you should sign, too.” Fortunately, many communities across the country and world have put commonsense protections in place for property owners that we can use as a guideline. To ensure property owners are fairly treated, states and counties need to have proper zoning laws in place. This should be a public and transparent process, with utmost consideration and deference given to citizens of the county — rather than to corporate interests. Counties should commission and carefully consider independent studies to evaluate and mitigate issues of shadow flicker, sound, sight lines, and night-time lighting systems. State legislators and county boards have the responsibility to implement zoning laws to address property concerns and ensure landowners and Tribal communities are at the table during the clean energy transition. Cape Vincent, NY: wind developers are required to conduct several impact studies, including shadow flicker, visual and noise impacts, wildlife impact, electromagnetic interference and stray voltage. Michigan requires wind companies to conduct a flicker analysis by an independent expert. The software used during the analysis can predict duration and timing of shadow flicker. An Environmental, Health and Wind Guidelines study suggests shadow flicker not exceeding 30 hours per year and 30 minutes per day on the worst affected day, based on a worst-case scenario. Ultimately, county boards can require wind companies to shut down turbines when shadow flicker limits are exceeded. Counties can also implement zoning to require wind companies to use timers, motion sensors, or downward-hooded lights to help reduce light pollution. Other options include requesting wind companies to add lights to turbines on the perimeter, rather than on each individual wind turbine, to minimize the number of flashing lights at night. To mitigate visual impacts, counties can require wind companies to prepare visual influence maps from key viewpoints. This is helpful during the assessment and consultation processes. Additionally, counties can implement zoning laws to address potential effects of erosion due to construction. To reduce erosion during the construction process, counties can eliminate the construction of unnecessary roads, avoid construction on steep slopes, and require re-vegetation of disturbed soils with native seed stock. Issues could arise once the wind towers are erected in areas with erodible soils, therefore county boards can implement zoning which requires wind companies to revegetate soil disturbances with native seed or establish these areas as avoidance zones. County boards also need a decommissioning process when the wind project reaches the end of its useful life, requiring turbines and ancillary structures — including the cement foundation, pilings, and equipment to be dismantled. Wind companies need to be responsible for restoring the project site to its original condition, as well as the costs associated with the decommissioning and disposal process. Other options to protect property rights can come at the state level. For instance, the Public Utilities Commission in Colorado has jurisdiction over wind facilities that are greater than 2 megawatts (MW) or have a structure greater than 50 feet tall. State entities can also require an environmental assessment and establish wildlife guidelines for wind energy projects. A study conducted by UC Davis for the state of California derived a common setback as three‐times the overall turbine height from a property line. RETEXO, a large German manufacturer recommends setbacks of 2 km (6,562 feet) from its turbine hub, citing both safety and noise considerations. The Canadian province of Ontario requires setbacks of 550 meters for smaller wind turbines or groups of wind turbines, and 1500 meters (a little less than 1 mile) for larger wind farms. In Cape Vincent, NY proposed setbacks are six times the total height of the turbine. There seems to be no concrete standard for proper setback distances. However, counties should consider lengthier distances from property lines, which would then address the majority of concerns of property owners affected by and neighboring wind projects. Setback distances cannot be handled with a “one-size-fits-all” approach, as the landscape, weather, and population will vary with each location thus varying the impacts that could affect setback distances. Contact your local county board and ensure your county has proper wind zoning regulations, with setback distances that respect all property owners who may be affected. 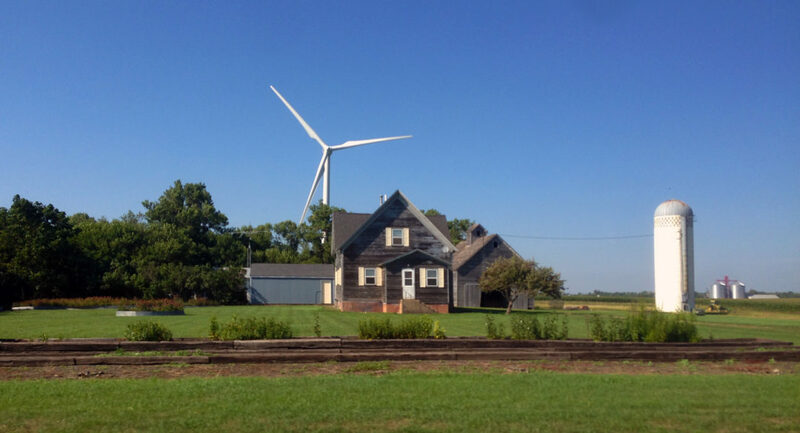 Request that wind corporations compensate both affected and neighboring property owners with a yearly payment or energy credit toward their monthly electric bill. Require your county to conduct independent studies on shadow flicker, sound, sight lines, and nighttime flashing light systems. As we stand up for more clean energy and more wind, we also must continue to stand with landowners who want to see local control and their concerns addressed by their local elected officials. Throughout the Keystone XL fight, Nebraskans spoke up and took action to help stop TransCanada’s proposed tarsands export pipeline. Local activists in communities across the country can use this page as a resource to review the various actions and reports that helped us in Nebraska achieve this historic victory over Big Oil.